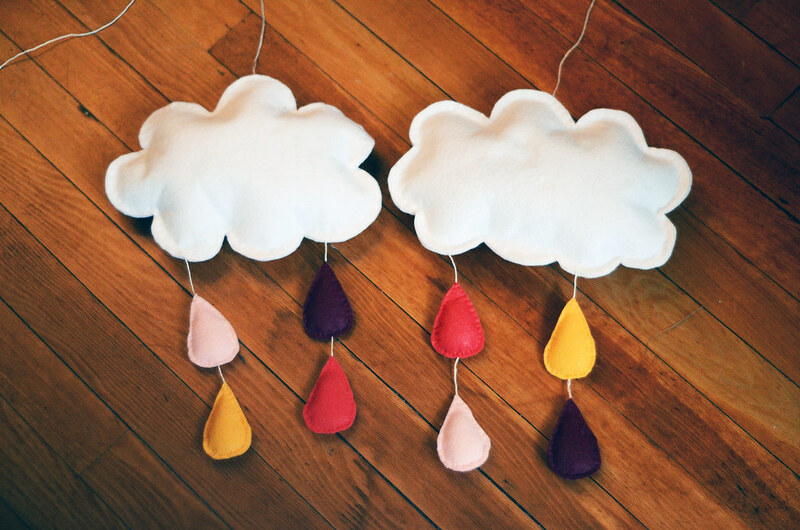 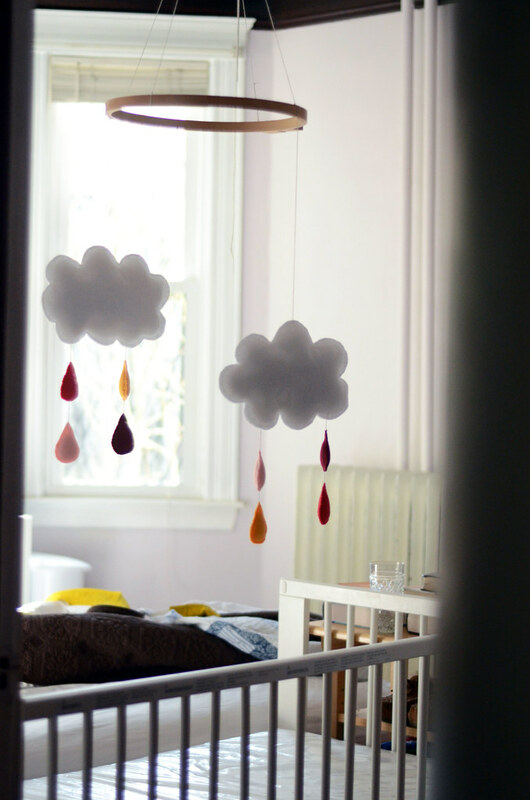 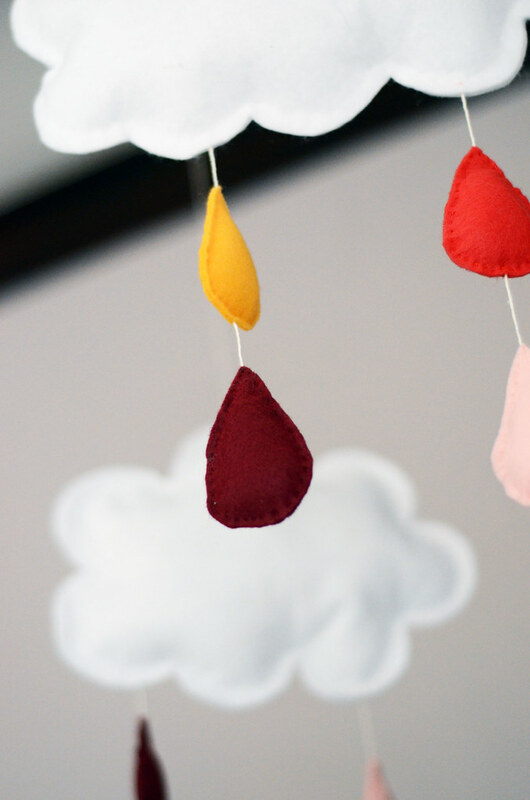 I finished up the cloud mobile for Sinclair last week, and Pierce hung it above the crib in our room. 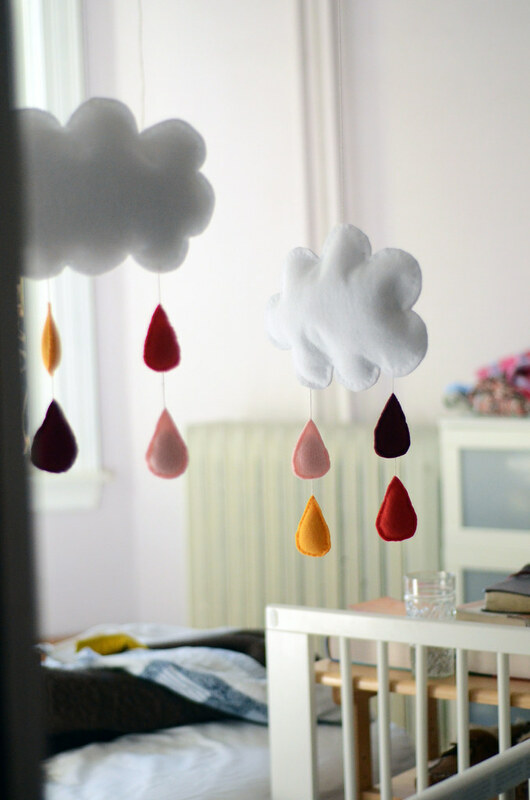 Luther's mobile has been hanging above his toddler bed since we moved, and he's pretty excited that Sinclair gets one too. 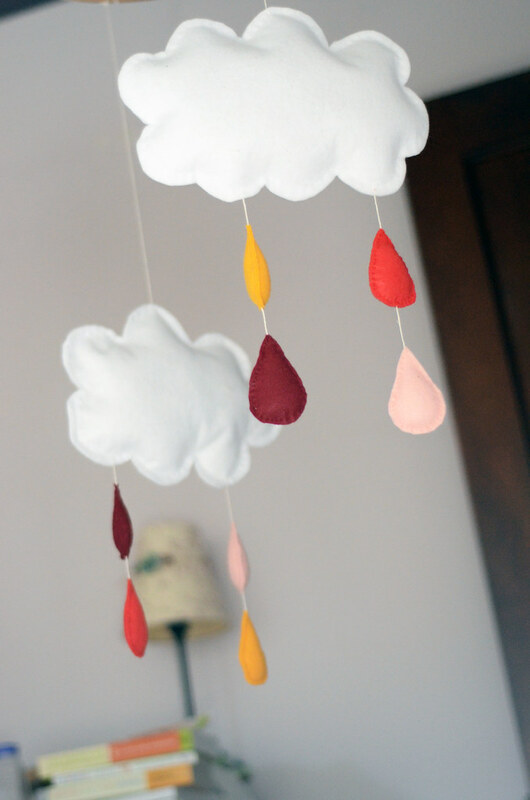 I was a little concerned that the colors would be too "bohemian circus tent," but I really like how they work together, especially in our slightly lavender painted bedroom.